her extension would be “coterminous with the tenure of Shri Pranab Mukherjee as Finance Minister”. Mukherjee needs to resign as finance minister before he files his nomination, in all possibility on June 29. Ms Paul’s term will then automatically end. Significantly, unlike in other extension orders, the ACC order dated June 15, 2012 did not specify how long Ms Paul’s extended term would be, making it amply clear that the ACC headed by the Prime Minister himself was aware on that Friday that Mukherjee would be the Presidential candidate. The announcement of Mukherjee’s candidature at the UPA meet in the evening was just a formality. Ms Paul is likely to be the secretary to the President, a position currently being held by Christy Fernandes. Ms Paul is a former Indian Information Service officer who took voluntary retirement in 2002.
a) The ACC has approved the empanelment of Indrajit Pal, a 1977 batch Andhra Pradesh cadre IAS for appointment to secretary or equivalent posts in the Centre. b) Ms Loretta Mary Vas, a 1977 batch UP cadre IAS and secretary in the ministry of Panchayati Raj, will hold additional charge of the post of secretary, ministry of tribal affairs during the leave of Vibha Puri Das. c) The deputation tenure of Nasir Kamal, a 1986 batch UP cadre IPS as Inspector General (IG) in the National Crime Records Bureau (NCRB) has been extended till May 17, 2013.
d) Alok Vardhan Chaturvedi, a 1986 batch Bihar cadre IAS, has been appointed as joint secretary in the Cabinet Secretariat in place of Rajive Kumar, a 1981 batch UP cadre IAS. 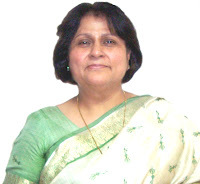 e) Ms Amita Sharma, a 1981 batch MP cadre IAS, presently in the cadre, has been appointed as additional secretary, in the department of higher education in place of Ashok Thakur, a 1977 batch Himachal Pradesh cadre IAS. Good story on Omita Paul. Finally, she will move to Rashtrapati Bhawan. Secretary's bungalow is within the Presidential Estate. Cool job for 5 years. Woh! Other IIS officers should learn a few tricks from Omita Paul. Will Gautam Chatterjee, the new DG undo Kiran Dhingra and Satish Agnihotri who killed the sIndian Shipping with all their dogmatic ideas?